JOHANNESBURG/NAIROBI – Following findings from a recent food security assessment across southern Madagascar, UN agencies are scaling up closely coordinated efforts to prevent an already dire situation from becoming a catastrophe. 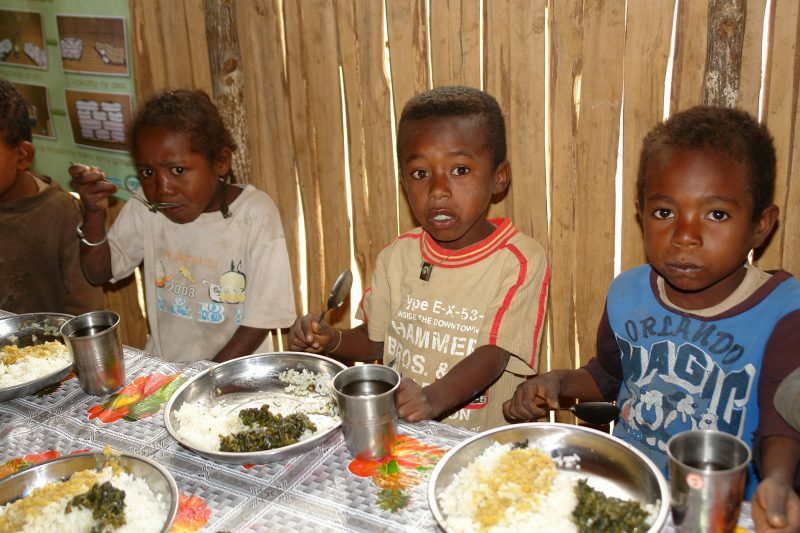 According to the Integrated Food Security Phase Classification (IPC) in southern Madagascar, more than half the population in the South (approximately 840,000 people), are experiencing alarming levels of food insecurity. The ongoing humanitarian response has ensured that the most acute food insecurity and the most severe form of malnutrition are being addressed. However, a third consecutive widespread crop failure and extremely low water availability urgently require additional resources to roll out an adequate response. 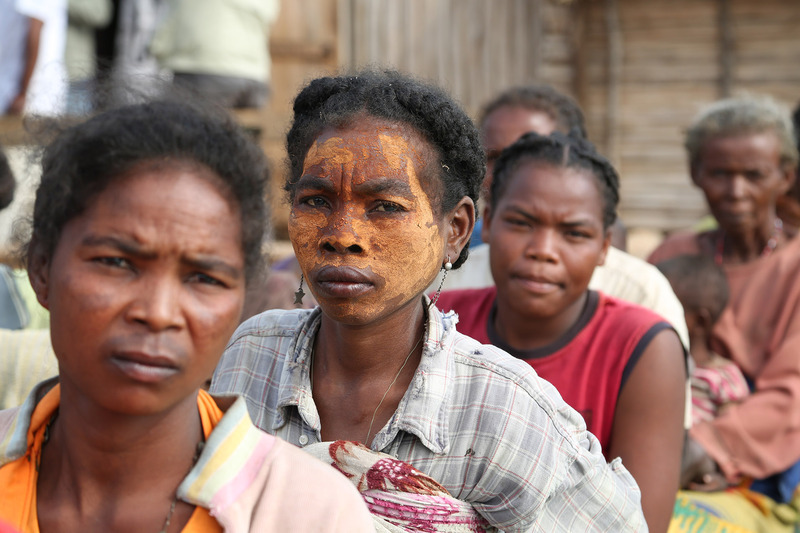 In Madagascar, 92 percent of the population lives on less than $2/day, and the situation in the chronically semi-arid South is pushing hundreds of thousands close to the edge of disaster. IPC findings indicate that the food security and nutrition situation could deteriorate even further early 2017, unless humanitarian action is rapidly scaled up. Many households have resorted to begging, selling off their land or possessions, and eating vital seed stocks in order to survive. In such harsh conditions, children are often taken out of school to look for income, food, wood and water, in a part of the country where children already suffer multiple deprivations. WFP will scale up its ongoing food and cash relief operations to reach as many as 1 million vulnerable people by the end of next month. At the same time, WFP is expanding its nutrition programme to prevent and treat moderate acute malnutrition (MAM) among more than 200,000 pregnant women, nursing mothers and children under five, whilst continuing to assist some 230,000 school children in southern Madagascar with a hot meal each day to ensure regular attendance. UNICEF will scale up its water and sanitation operations to reach an additional 850,000 people. Ongoing monthly nutrition screenings of all children under five will continue and be complemented by a SMART survey, while ensuring treatment for 10,000 children suffering from severe acute malnutrition (SAM). Health interventions will increase, especially for the 350,000 people living more than 5 km away from a health centre. Negative coping mechanisms such as taking children out of school, child labor, and child marriage will be addressed through education reaching 200,000 children and cash transfers for 4,000 families. FAO’s immediate agricultural response is targeting 850,000 people (170,000 small scale farming households) in the worst-affected districts. The assistance combines provision of quick-maturing and drought-tolerant seeds and root crops (cassava and sweet potatoes). Farmers will also receive tools to replace those that may have been sold during the current extended hunger season. Support to livestock production will also be provided through supplementary feeding of livestock and animal health related activities. 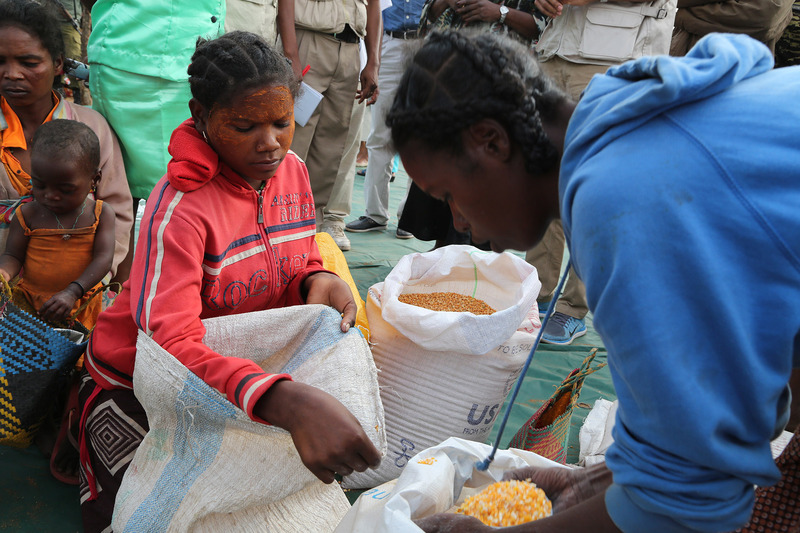 WFP: From October to April 2017, WFP faces a shortfall of $89 million out of a total requirement of $118 million for its operations in Madagascar. UNICEF: UNICEF will require an additional $36.5 million to scale up its efforts in the South: $12.5 for Social Protection; $10.5 million for WASH; $6 million for Health; $3.2 million for Education; $2.3 million for Child Protection; and $2 million for Nutrition. FAO: Out of a funding requirement of $22 million, some $3.5 million is available. The funding shortfall amounts to $18.5 million. Press Release issued by UN World Food Programme 20 Oct. 2016 – photographs by WFP/UN Agencies. Special thanks to David Orr.